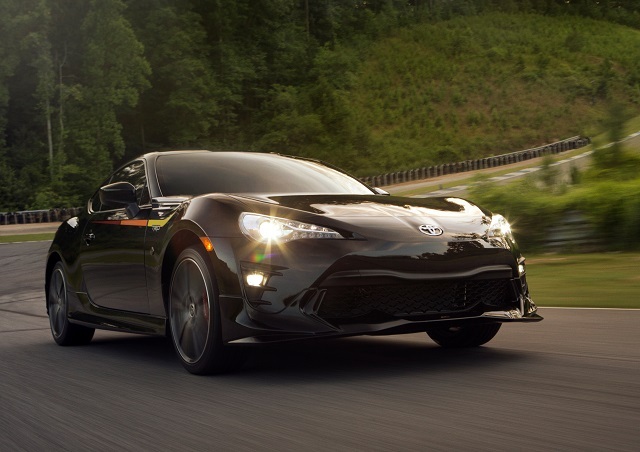 Toyota call’s it 86 sports car a “purist’s dream,” and we certainly agree. These stripped down sports cars with a manual transmission are becoming niche products aimed at those of us who love to drive. 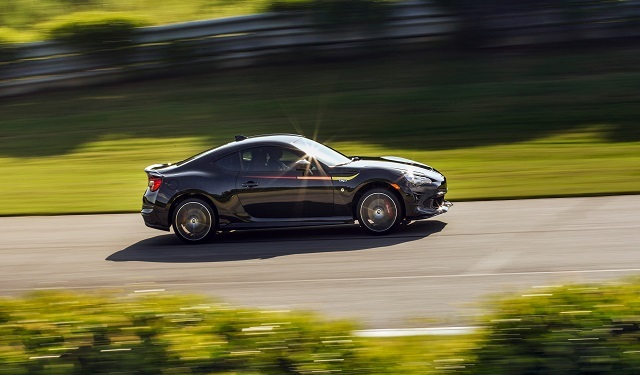 As we keep moving towards cars with computers that assist us and then ultimately take over the driving functions, cars like the 86 will be one of the few reminders of the glory days of fun and nimble sports cars. 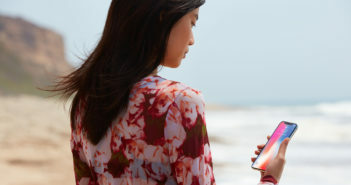 With the 2019 model, there aren’t many changes to the base design of the 86 from previous models. But Toyota has introduced a TRD Special Edition featuring Brembo Brakes, SACHS dampers, TRD Body Kit, Michelin Pilot Sport 4 Tires, TRD Exhaust and unique design details. The TRD Special Edition comes in an exclusive Raven color as you can see in the photos, and is accented by a classic TRD tricolor graphic and TRD body kit which includes a spoiler and a TRD exhaust with brushed stainless steel tips. 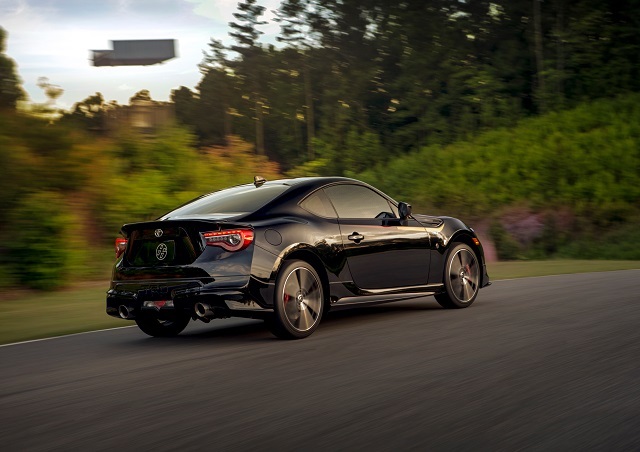 You can see from the photo below that the 86 has a stripped down look of a sports car cockpit with design accents exclusive to the TRD Special Edition. 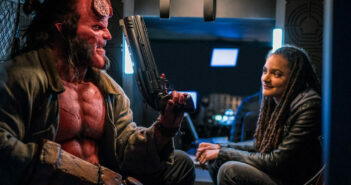 The interior features a new red and black-trimmed telescoping steering wheel with red contrast stitching, red and black sport bucket seats with side bolsters, red contrast stitching throughout and red seatbelts. 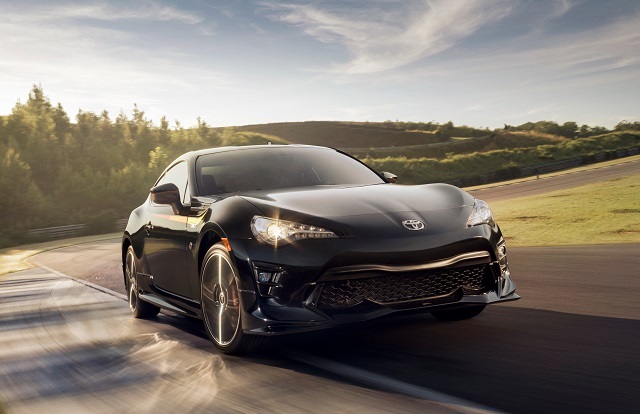 The 86 TRD Special Edition will have a Manufacturer’s Suggested Retail Price (MSRP) of $32,420, so it’s a very affordable sports car for the driving enthusiast.